Rendering courtesy of The Morris and Gwendolyn Cafritz Foundation by Shalom Baranes Associates. Ed. 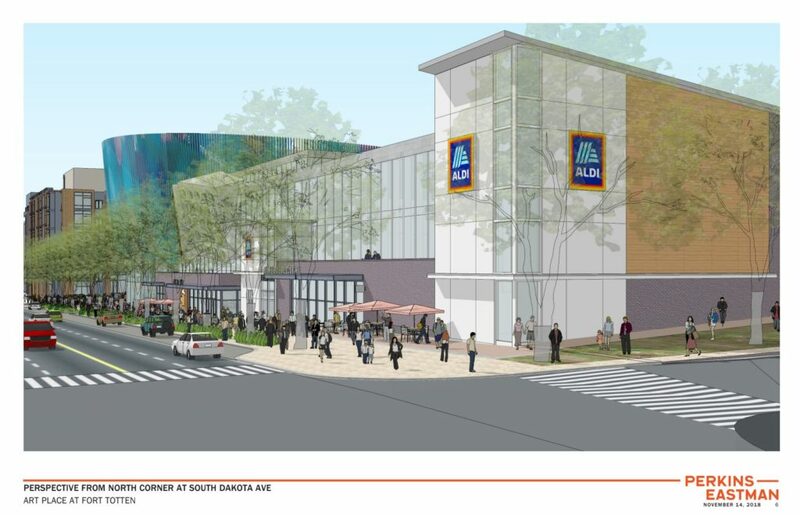 Note: Don’t forget about Meow Wolf and Aldi too. “Earlier tonight [Friday], an adult male and an adult female were injured in a shooting that is believed to have taken place in the area around the 5000 block of 6th Place, NE. The both victims received non-life-threatening injuries. Ed. Note: The GoFundMe for the victim is closing in on $35,000 of it’s $40,000 goal. Thanks to all who’ve given. 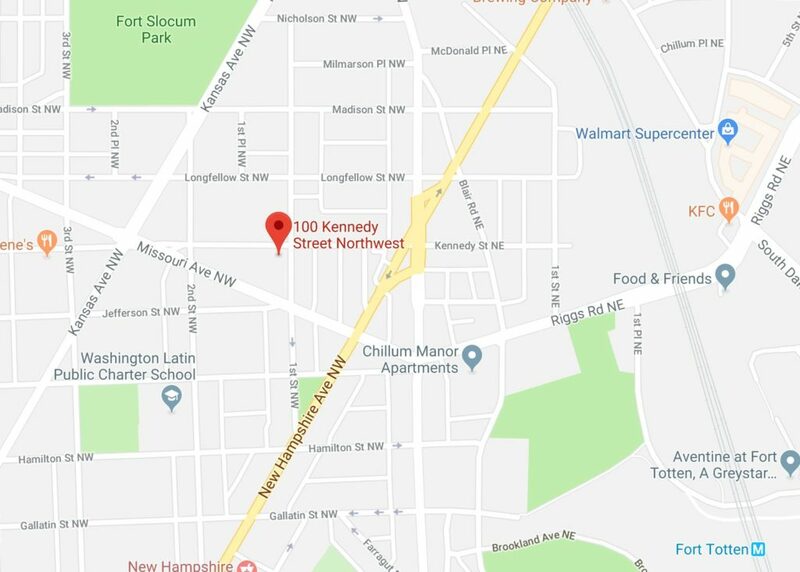 “Detectives from the Metropolitan Police Department’s Homicide Branch announce an arrest has been made regarding an Assault With Intent to Kill (Gun) offense that occurred on Tuesday, January 1, 2019, in the 100 block of Kennedy Street, Northwest. 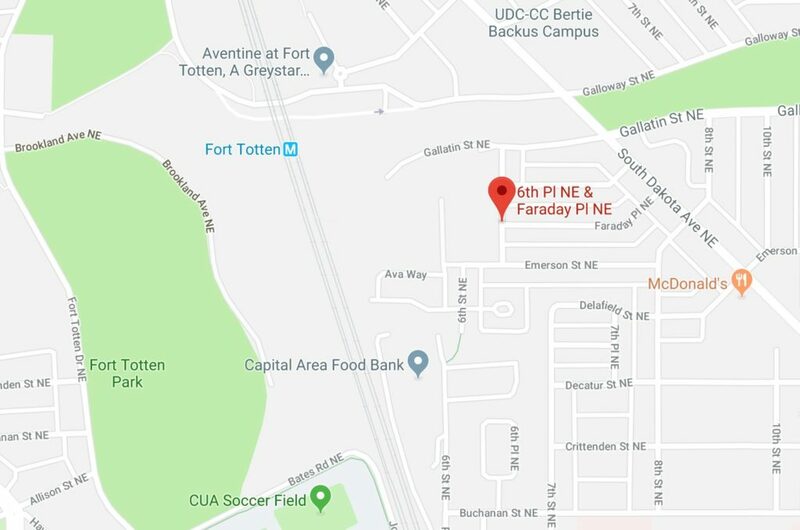 At approximately 12:23 pm, members of the Fourth District responded to the listed location for the report of a shooting. Upon arrival, members located an adult male suffering from a gunshot wound. DC Fire and Emergency Medical Services responded to the scene and transported the victim to an area hospital for treatment of life threatening injuries. 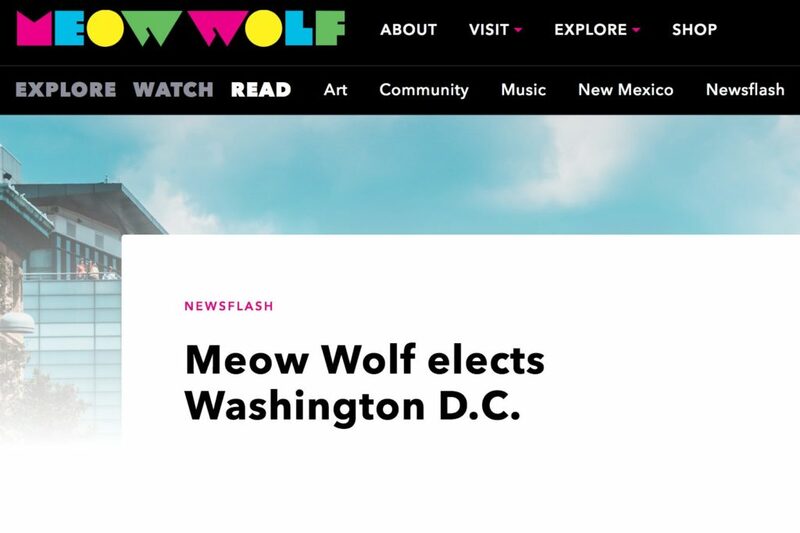 “Meow Wolf D.C. will be the next permanent installation from the growing arts and entertainment start-up, the result of a partnership with the Cafritz Foundation that’s set to open in 2022.
eow Wolf rocketed into 2018 with back-to-back January announcements of huge, new, permanent installations in Denver and Las Vegas. 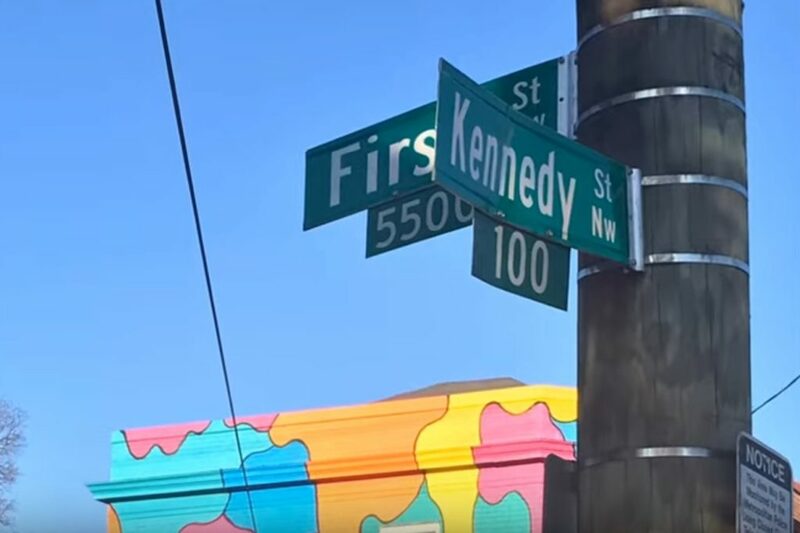 Now, the booming arts start-up bookends a phenomenal orbit around the sun with news of a major permanent installation coming to the nation’s capital: Washington, D.C.
It’s been about a year since you last posted a question about the much-anticipated, but long-elusive XSport Fitness Fort Totten opening. As recently as last month, the retail page for the Modern at Art Place indicated that this gym would be opening in Winter 2018. Now, they no longer list the gym as a future tenant, and XSport has removed the Fort Totten gym from their “Coming Soon” page. “This gym has been “coming soon” for over 4 ½ years. What’s more absurd is that the facebook page has a daily stream of pics of people working out, tagging the Fort Totten location and then has stupid chicken soup for the soul (or I guess muscle) quotes. The people posting on the page about the perpetual non-existence are pretty funny. And I have contacted them multiple time and they said we don’t have an opening date. This place has been coming soon longer than the duration of the American civil war. 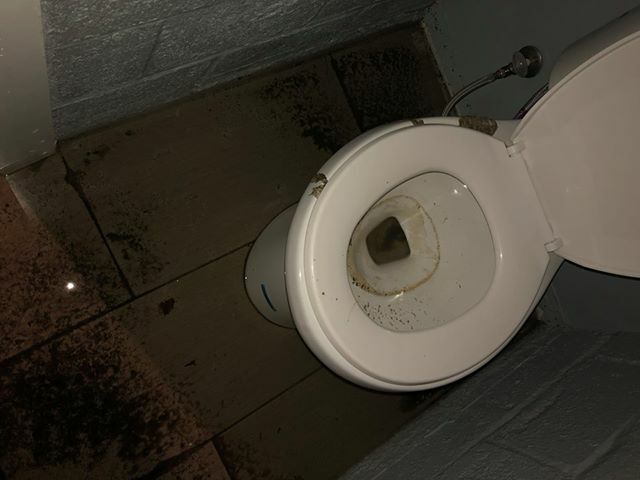 “My neighbors and I have just cleaned the THIRD sewage back flow surge from our basements in the last 13 months! This is absolutely devastating! Something needs to be done to update the infrastructure of the sewage lines to accommodate the demands on the system. The massive amounts of rain we’ve experienced is too much for the system to bear and unfortunately, we are at the bottom of a hill — receiving everyone else’s waste in our home. It’s not our responsibility to upgrade and snake our drains when everyone in our neighborhood has back flow problems. This is a city issue and it needs to be resolved. 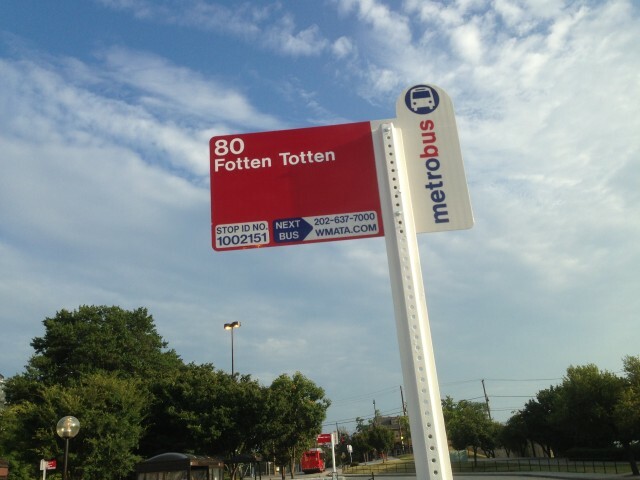 “Mayor Bowser today broke ground on the Fort Totten extension of the Metropolitan Branch Trail (MBT), which will connect the existing trail from John McCormack Drive in Brookland to the Fort Totten Metro Station. This is the next major milestone toward the completion of the Metropolitan Branch Trail.